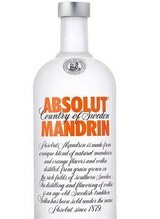 An incredible blend of imported English vodka and the tangy flavor of freshly squeezed oranges. An elegant and subtle aroma of fresh orange pulp and juice. The palate entry is pleasantly sweet and juicy; at midpalate the taste highlights the sweetish fruit, downplaying the acidic side. Concludes more astringent and tart than the midpalate phase, thus restoring the balance. Best Buy.